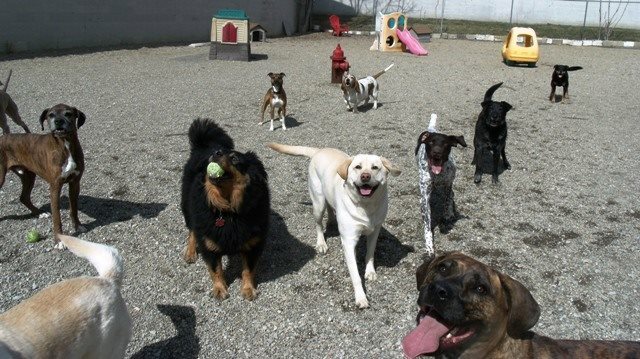 The Doggy Den provides a variety of services including Daycare, Boarding, and Grooming available to fit you and your pup’s needs. A list of our prices can be seen below. Guests must be friendly toward people and their canine friends. Please visit the FIRST TIME GUEST REGISTRATION page to begin! If you have already registered, please call or visit our contact page to schedule your appointment for your service. Can not be applied to packaged visits. Come for a Groom, and Play for half off the price of a Single Visit! Daycare is ALWAYS included when you stay with us! Guests who stay 5 consecutive nights or more receive a FREE Basic Bath service the night before departure. This service trims the nail to the Quik (nail’s vein). This service files back the nail and pushes the Quik (nail’s vein) back for a shorter, less sharp result. *Time spent on Guest’s spa visit.